Join us for an evening of discussion with Jadé Fadojutimi and acclaimed writer and artist Matthew Collings. Matthew Collings is an artist and writer. He studied painting at the Byam Shaw art school and Goldsmiths. He went on to edit the magazine Artscribe between 1983 and 1987, and was the art critic on the BBC TV culture programme, The Late Show, between 1988 and 1994. He has written many books on art including the popular best sellers, Blimey! (published in 1997 by 21, a company founded by David Bowie) and This Is Modern Art (published in 1998 by Weidenfeld & Nicholson). This Is Modern Art was based on a 6-part TV series broadcast by Channel 4, which Matthew wrote and presented, the series won a Bafta among other awards. Matthew also wrote British Abstract Painting 2001 (published in 2001 by Momentum), which surveys works by seventy British abstract painters. Matthew collaborates on geometric patterned paintings with his partner, the mosaicost Emma Biggs. They exhibit under the name Biggs & Collings. Their work is in many collections globally and they are represented by Vigo Gallery. Matthew is currently writing a book on contemporary painting for Thames & Hudson, to be published next year. Would you like to create your very own miniature garden featuring a unique artwork? Adopt a tub! With generous help from the Hoxton Trust to store them, we have rescued bath tubs to be adopted and used by the local community, giving the tubs new lives as flower and vegetable planters. Through a series of FREE workshops with an experienced gardener and artist, participants will learn about plants, decide on the planting and co-design an artwork for the exterior of the tubs, meaning the planters will be enjoyed both for their nature and as art! Join us on Saturday 9 March from 10-12pm at PEER for an introductory workshop to gardening, bath planting and designing your bath planters! FREE, just turn up. Join us for an evening screening and talk with artist and filmmaker Ayo Akingbade and member of Newsreel Collective Joy Chamberlain. Friday 16 Nov, 18:00 - 21:00: Lux and Birkbeck Institute for the Moving Image present belit sag’s work in a cinema, with responses from artist Michelle Williams Gamaker and filmmaker Chloe Thorne. As part of Shoreditch Design Triangle, PEER will host a special late opening on the evening of Tuesday 18 September. Simon English will be present to greet visitors, talk about his work and sign books. We will be offering 10% off all sales for this evening only. 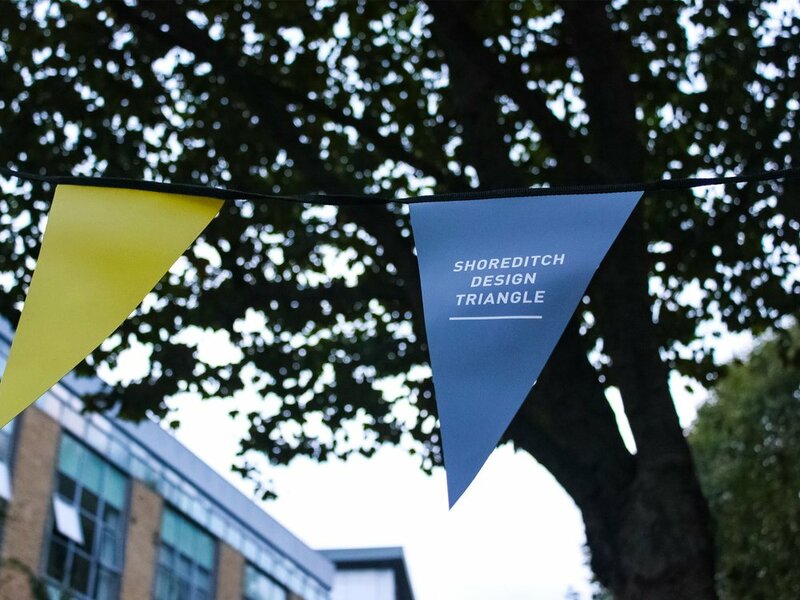 The Shoreditch Design Triangle is a cultural event that celebrates the creative industry in East London. Established in 2008, it enables designers, companies and institutions to promote their activities during the London Design Festival and other key dates. Images courtesy of Jenny Lewis (left) and Penguin Random House (right). Join us for a lively evening of discussion with artist Simon English, and acclaimed author Laurence Scott. Scott’s new book, Picnic Comma Lightning: In Search of a New Reality (published July 2018, Penguin Random House), explores the political, technological, and commercial forces shaping our experience of reality in the 21st century, and asks what it means to be a 'real' person in today's social-media age. Scott has also contributed to Simon English's recent publication, SIMON ENGLISH: my big self decoy justin beiber (published March 2018, Black Dog Publishing) alongside texts by Sally O’Reilly, Hendrik Jackson and Verena Stauffer. Their conversation will reflect on recent work, and on shared influences and inspirations. Simon English lives and works in London. He emerged on the London Art scene in 1994 with an exhibition of paintings at the Saatchi Gallery as part of Young British Art III. Laurence Scott’s book The Four-Dimensional Human: Ways of Being in the Digital World (2015) was shortlisted for The Samuel Johnson Prize, won the Royal Society of Literature Jerwood Prize, and was named the Sunday Times ‘Thought Book of the Year’. His writing has appeared in the New Yorker, Guardian, Financial Times, New Statesman, Boston Globe, Wired and the London Review of Books. In 2011 he was named a ‘New Generation Thinker’ by the Arts and Humanities Research Council and the BBC, and now regularly writes and presents documentaries for BBC radio, as well as presenting and contributing to the Radio 3 arts and ideas programme, Free Thinking and Picnic Comma Lightning was recently featured as book of the week on Radio 4. He is a Lecturer in Writing at New York University in London, where he lives. My Art & Soul welcomes everyone with a creative passion or interest for a chilled evening of 'anti-networking', a response to the necessity of meeting other creatives but rejecting the fact that these networks are often forged by privilege and 'who you know'. This session includes talks from One of My Kind (OOMK), a collaborative publishing practice led by Rose Nordin, Sofia Niazi and Heiba Lamara, and Najwa Umran who recently founded Female Muslim Creatives (FMC), a new arts organisation that seeks to amplify the work of Muslim, female-identifying artists in the U.K and across the world. The event creates a space to spark conversation, thoughts, and new ideas in everyone that attends, not only from the speakers but from one another. It is a space that we hope can create future bonds, collaborations and is a chance for people with a great platform to inspire and encourage other creatives to keep creating. My Art & Soul encourages everyone from any age, gender, religion, background and sexual orientation to come and have a relaxed evening of fun. It will take place in PEER's Participation Space at the rear of the gallery. Vegan food and drinks will be provided. My Art & Soul was conceived by PEER Ambassadors (aged 18-24) who are employed by PEER as gallery assistants and take part in artist-led workshops, exhibition and studio visits. My Art & Soul is part of PEER's Local Programme. OOMK have been working together since 2014. They publish and distribute books and printed works which arise from self-initiated projects. OOMK also commission new works by women artists, run Rabbits Road Press and co-curate DIY Cultures, one of the UK’s largest annual independent publishing fairs. Najwa Umran recently founded FMC, that was launched after Najwa put out an open call for female Muslim artists on Twitter to get in touch with her. This went viral and grossed over 3.5k retweets and 400 applications from 32 countries for her exhibition. A live performance and sound piece from artist Toby Christian, reimagining the scroll – at once a document, a record, a spool – through domestic archival apparatus and props. Taking Abigail Reynold’s current exhibition The Universal Now and further episodes as its starting point, Christian extends Reynold’s passion for and exploration of books as material with his own scrolling, archiving and mark-making. Christian uses laminating machines, projectors and cut-out figures to animate drawn and string characters. A laminating machine is adapted so that its roll of ersatz-celluloid is driven over the lens of an overhead projector. The effect is the creation of a slow-moving animated procession of frozen string figures, secluded in their plastic pouches. The forms are carefully arranged by the artist to explore the figurative, linguistic and political registers of cotton string; some of the oldest recorded storytelling devices in human history. The scrolling animations are accompanied by an immersive soundtrack, mixed live by Christian. Contact microphones attached to the equipment will amplify and alter the slow humming of the motor, as well as the masticating, grinding noises of the crackling plastic as it repeatedly passes through the rollers of the laminator. THIS IS A PAST EVENT – Read about the symposium and the artists' work with PEER in our archive. Presented by Fourthland and Rosalind Fowler, this symposium will explore contemporary craft, performance and film as forms of mythmaking and ‘modern magic’*; each with their own power to transform, enchant and conjure new forms of kinship within artistic and socially engaged practice. Currently, many contemporary artists, grass roots organisations as well as local authorities, arts institutions and even developers have adopted - or perhaps coopted - notions of social engagement in the work that they produce or support. The symposium will reflect on these current contexts, and also consider ‘myth-making’, which has also gained considerable currency in discussion about arts practices today. The afternoon of discussion and exchange will encompass film screenings, discussions, readings and group activities. Each of the contributing speakers will draw on theories and examples from their own practice and those of other artists to illustrate the three topics of the day: Session One – Working within the Community; Session Two – Craft and Transformation; and Session Three – Film and Magic. The symposium’s activities and content will take inspiration from Fourthland and Rosalind Fowler’s recent 2018 Arts Council residency at Kestle Barton (where they have collaboratively developed new work in-progress ‘I Carry You in my Eyes’) and their recent exhibition, BREADROCK, a film and sculptural installation hosted at PEER in February 2018. *The term ‘modern magic’ is borrowed from Rachel Moore’s book titled Savage Theory: Cinema as Modern Magic (1999). Fourthland (Louise Sayarer and Eva Knutsdotter) is an artist collective that uses objects, ritual, storytelling and enactment to co-create public space and performances. Recent solo works include BearMotherHouse with Xenia, SPACE London 2017 ; The Storm within Jeremy Deller’s Utopia Treasury, Somerset House, London (2016); back to where we have not quite been, Arnolfini, Bristol (2015); The Collective Tongue, Errant Bodies, Berlin; and everything happens on the street, PEER, London (2015). They have had recent residencies at Kestle Barton, with support from Arts Council England (2018), CASS School of Art and Design, London (2016), Cabot Institute of Climate Change, Bristol (2015); Bergen Academy of Art, UCL Urban Lab, London and South London Gallery Local (2015). Rosalind Fowler is an artist and filmmaker, with a background in visual art and anthropology. Her work explores the politics and poetics of place and belonging in the contemporary English landscape. Recent solo works include NowhereSomewhere (2016) a 2-screen film installation for William Morris Gallery, Barbican Foyer Art commission, and Somerset House’s Utopia season. She was selected as artist in residence at the William Morris gallery in 2016. Others commissions include What Lies Below (2015) supported by Wellcome Trust and BFI, Tamesa (2015) NOW gallery, and Folk In Her Machine (2014) supported by AHRC. Her work has exhibited and screened widely, including at ICA, BFI, Jerwood gallery, Plymouth Arts Centre, Pumphouse gallery, and PLACE: Common Ground, curated by Gareth Evans. Ben Cranfield is Senior Tutor in Curatorial Theory and History on the Curating Contemporary Art programme at the Royal College of Art. Formerly a lecturer at Birkbeck, University of London for over eight years, he has a keen interest in the relationship between theory, practice and alternative forms of pedagogy. His current research and practice is focused on the relationship of the curatorial to notions of the contemporary and the archive, asking what it is to be ‘with’ one’s time. Tanya Harrod is the author of The Real Thing: essays on making in the modern world (2015), The Last Sane Man: Michael Cardew, modern pots, colonialism and the counterculture (2012) and The Crafts in Britain in the 20th Century (1999). Harrod is also a member of the Advisory Panel of The Burlington Magazine and advisor to the Craft Lives Project based at the National Sound Archive of the British Library. She is a member of the International Association of Art Critic and is the founder editor of The Journal of Modern Craft. Rachel Moore convenes the MA in film and screen studies at Goldsmiths University. Her research covers early film history and theory; the historical and contemporary avant-garde. She is interested in the crossovers between anthropology and film theory, most recently writing on Jean Epstein's Breton films. In 1999 she published ‘Savage Theory: Cinema as Modern Magic’, envisioning the cinema as a form of magical ritual that possesses the power to enliven, heal and enchant, which will be re-visited in a contemporary context for this symposium. This symposium is supported by Arts Council England. 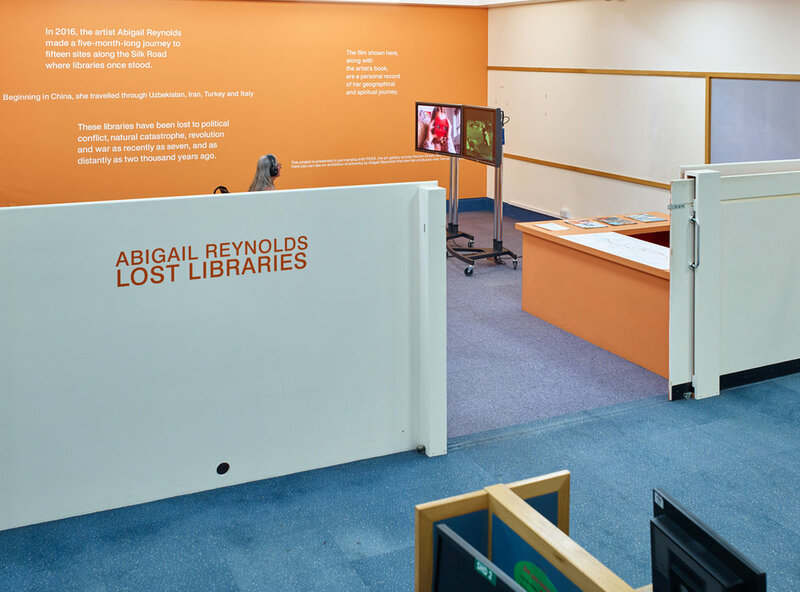 Abigail Reynolds will be introduced by Shoreditch Library Manager David Nwankwo-Ntah to discuss her new film installation that draws on her recent journey to the sites of 16 'lost libraries' along the Silk Road. Their conversation will reflect on Reynolds' journey and consider this in the broader context of the role and functions of libraries in the UK today.